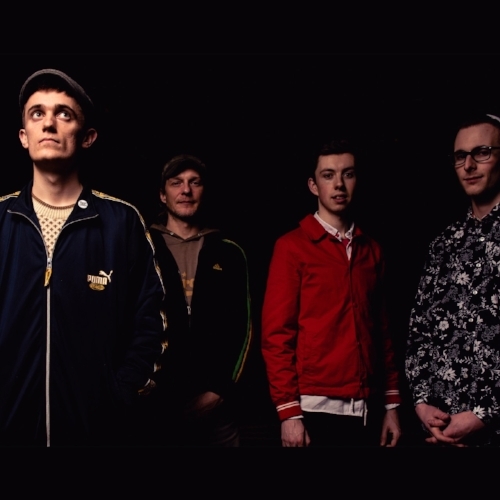 drummer Danny Goffey at the moment so it is a great time to speak with Junior Bill about their recent single, There’s a Wolf in Grangetowen, and what comes next. Their eponymous E.P. is out so Rob from the band has been talking about future plans and the sort of music that inspire him. 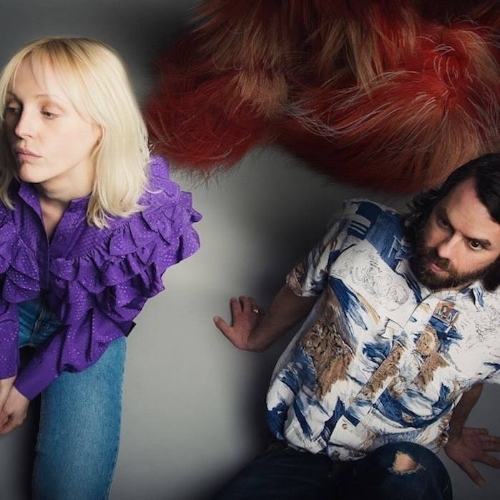 I ask about the band’s beginning and what plans are afoot for next year; which rising artists we need to keep an eye out for and where the band are gigging – each of the band members end the interview by selecting a great track. Rob: Hi. I’m very well, thanks and extremely excited and happy to be touring with Danny Goffey right now. We are a five-piece band from Cardiff. I, Rob, write the songs, front the band; sing and play the guitar. We have Joel Beswick on keyboards, Rory Saunders on bass; Jim Strickland on drums and Luke Owen is the new boy - who sings and plays just about everything. How did Junior Bill get together? When did the band form? We’ve had previous incarnations. It’s always been led by me and Joel and Rory have remained present since the start when we met in Cathays Community Centre, Cardiff in 2013. Joel and I, in fact, have played together since I was thirteen, and him fifteen, in a previous band. Junior Bill had a rapper for the first few years, who was Portuguese and rapped in Portuguese and the band had a slightly different flavour then. Luke and Jim joined more recently and the new line-up is now complete. We still rehearse in the place we all met - Cathays Community Centre. There are four self-released songs coming. What was the reason behind that? We wanted to tell the stories of where we come from. Each of the four songs tells a different narrative about Cardiff that has wider resonance with national stories. We felt that we wanted to use this offering to say to the world: ‘This is who we are. These are the streets and stories that made us and the same things are happening in your town too’. Not all our music is Cardiff-centric, but these four are our most localised and it ties them neatly together. 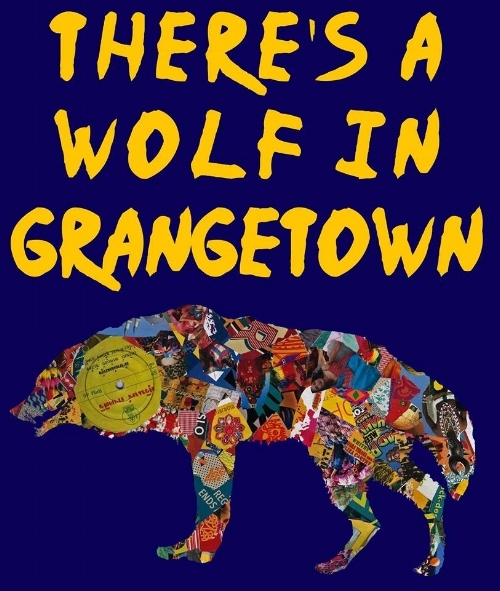 Can you talk about There's a Wolf in Grangetown and its story? The Wolf of Grangetown was a rumour back in my secondary-school, Cathays High. Kids would say “Wallahi, there’s a wolf in Grangetown, bruv”. I thought, maybe, the Muslim kids said it cos a lot of them were scared of dogs. It seemed like a kind of funny idea and the catchiness of the name invited a song. 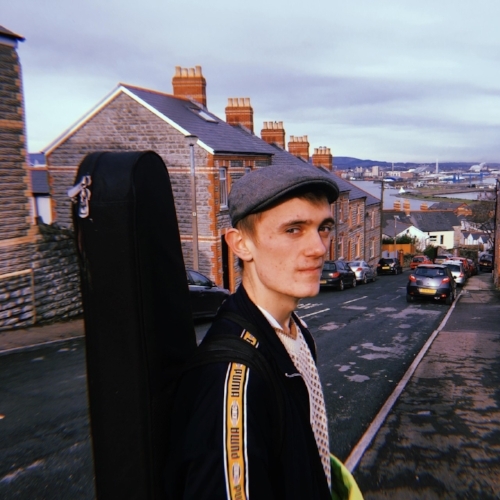 It’s a fun song with a balance of surrealism, urbanism and playground humour as well as an ode to one of Cardiff’s most important and life-filled areas. I promoted it by creating a hoax campaign about the presence of a wolf in the area. I put warning posters up and got up to all sorts of antics and it absolutely caught fire in local press and social media. Here are two articles which tell the story. Do you share similar musical tastes? Who are you inspired by? We’ve all got grounding in Reggae, Ska and Dub. We hold that classic Roots sound, for me particularly from Kingston between 1975 and ’79, up as the pinnacle of that type of music - which is why we revere it and pay some sort of tribute to it but understand that what we do needs to be different and not attempt a rehash of that music - it was done best in a certain time and a certain place. We all love everything, really. Jim has played in many bands including some which do live drum and bass stuff, which influences his drumming, and he produces Drum ‘n’ Bass in his spare time. Two of Rory’s favourite bands are Jungle and Everything Everything. Luke has a melodic ear and loves Pop, Soul and a good boogie. Joel likes a lot of interesting instrumental stuff and jazzy stuff ranging from Bill Evans to BadBadNotGood. I mostly love songwriters and voices - people with something to say who invite you into their peculiar and different way of seeing the world. And that could be anything from Richard Dawson to Lily Allen to Nadia Rose to Baxter Dury. As Christmas is coming; what one present would you like if you could have anything? A pony? I guess we haven’t thought about it yet. Yes. To write and write and write. Seeing as we’re on tour with their drummer; what comes to mind is when I saw Supergrass at Glasto 2004 in the sun/rain when a rainbow appeared and they kicked into Alright. I was eight-years-old and was dancing like mad, wearing a fez and a man wearing only a green tent called me a “fookin legend!”. Impossible question to answer but, for right now, I’ll go with Word Gets Around by the Stereophonics of all things! I really don’t like most of their stuff but they really captured young life in the Valleys in this album and it, for some reason, really resonated with me when I was really young, even though I’ve hardly spent any time in the valleys. Seeing as you said ‘alive today’, I’ll go for The Rolling Stones. We’d have caviar and champagne. I don’t even like either of those things. Don’t think you need permission to do what you want to do. Spend two years making your art with no specific purpose other than for making it and enjoying it. Connect with the art as deeply as you can before you start trying to be famous. Is it true you are supporting Danny Goffey?! Have you met him before? Yes and yes. He found out about us through a mutual friend and invited us to play his party. It was great. Where do I start?! You might already know some…but I like Aldous Harding…Unknown Mortal Orchestra’s new album is great; LUMP, BALOJI; Duval Timothy…but most of them have been around for years to be honest.